From our house to yours, we wish you all a very Blessed and Merry Christmas and the Happiest of Holidays. Merry Christmas to you, dear friend!!! Marry Christmas Marty to you and yours! Happy Holidays!! Marty, thank you so much for all of the encouragement you have given me in the short time since I started my blog. I pray you and yours have a joyous Christmas and a fantastic 2014! Merry Christmas to you and your family, sweet Marty. The merriest and brightest of days to you and yours my friend. Merry Christmas Marty enjoy that beautiful baby!!!! Marty, a Merry Christmas to you and yours! A christmas full with blessings and happiness for you lovely lady and for your dear family. Gorgeous Nativity vignette. Merry Christmas Marty! Love your nativity! And a Very Merry Christmas to you and your family!!! A very Merry Christmas to you and yours. Enjoy ! Merry Christmas to you my dear Marty and huge blessings for the New Year. Wishing you and your family a Very Merry Christmas and a Prosperous New Year, Marty! God bless! Merry Christmas to you Marty! Merry Christmas Marty! Looking forward to a new year at your blog! 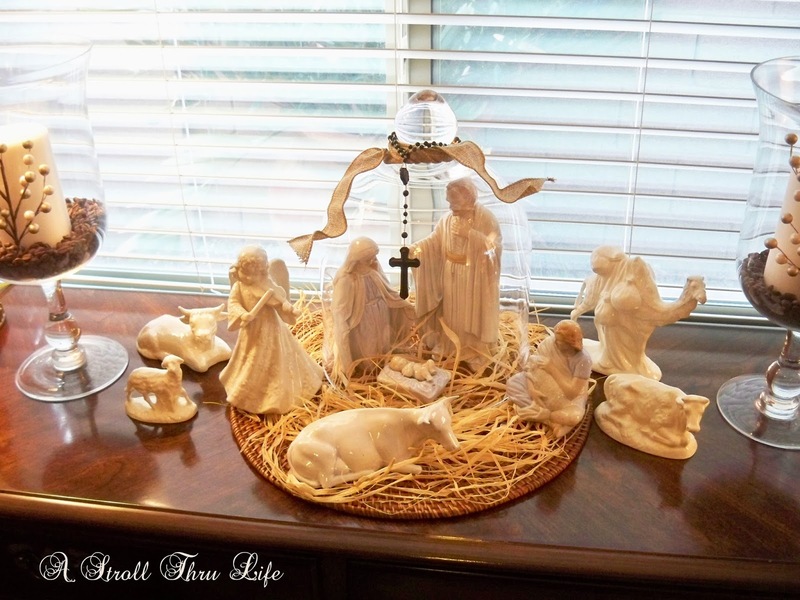 Merry Christmas Marty...luv your sweet nativity! Have a magical Christmas Marty! Have a very Merry Christmas Marty! Enjoy your family! A very merry Christmas to you, Marty! Hope You have a wonderful Christmas Marty! I hope you have a wonderful Christmas and a happy, healthy New Year! What a beautiful creche! Merry Christmas! Love your nativity Marty!!! Merry Christmas and 'Cheers' to 2014!! !